Henry Holt and Co., 9780805099683, 336pp. Warren Zanes holds a PhD in visual and cultural studies from the University of Rochester. He was a member of the Del Fuegos and continues to record music. His work has appeared in The Oxford American, and he has served as a V.P. at the Rock and Roll Hall of Fame and is currently the Executive Director of Steven Van Zandt's Rock and Roll Forever Foundation. “With insight and rigor, Warren Zanes digs into the brilliance and ambition that have driven Tom Petty's magnificent career. 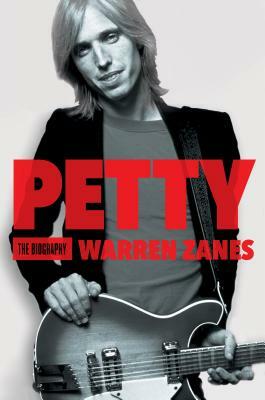 Zanes gets deep inside Petty's life and songs, but perceptively, he pays special attention to the fierce tenacity required to maintain the complex organism known as a rock & roll band.” —Alan Light, author of The Holy or the Broken: Leonard Cohen, Jeff Buckley and the Unlikely Ascent of "Hallelujah"